I see Grobags everywhere. Out shopping, online ads and my friends and fellow bloggers posting about them. I didn't quite get the hype and didn't think I needed to buy E one. 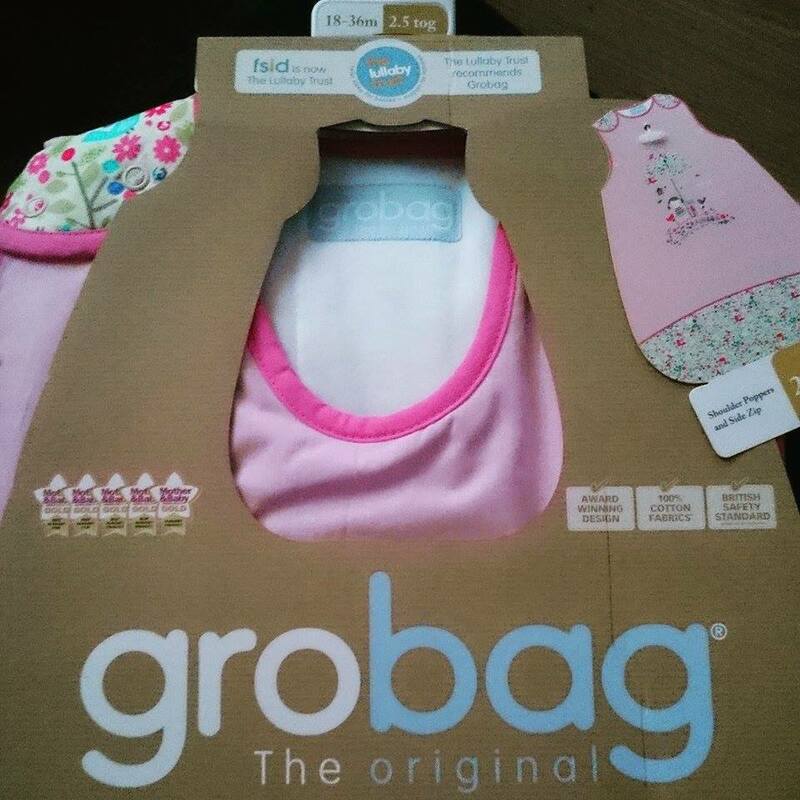 We were recently given the opportunity to try a Grobag and boy, was I wrong! 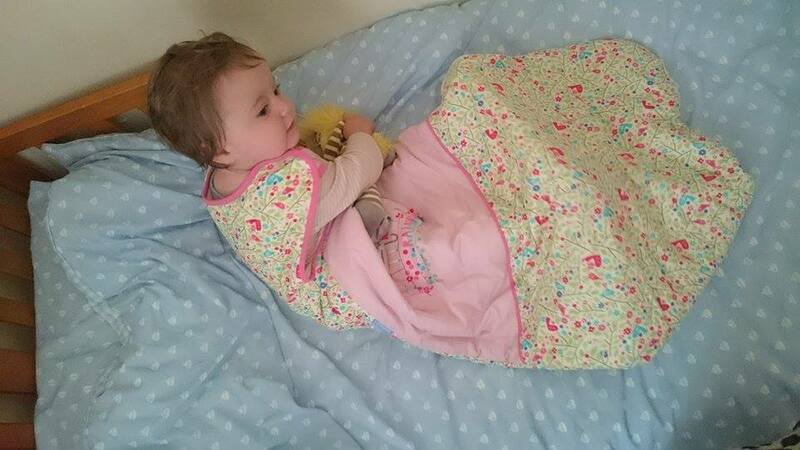 If you don't know what a Grobag is, it is a baby sleeping bag. 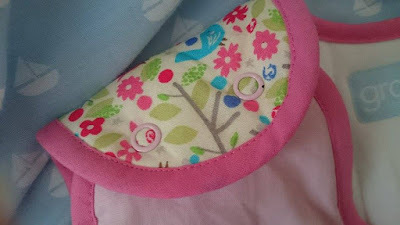 The Gro Company have a wonderful range to choose from and you can select sizes from 0-6 months right up to 6-10 years! They are available in different tog ratings too so you can choose the right one depending on the season they wear them in or how warm/cold the room that they sleep in is. The Gro Company even have a handy chart to help you find the right tog for you and what your child should wear underneath. 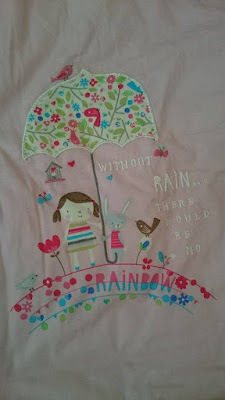 After much deliberation, I opted for the Bunny & Brolly grobag, size 18-24 months in 2.5 tog. 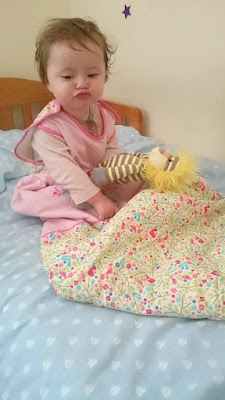 E has only just turned 12 months but wears 12-18 month clothing. I thought she wouldn't get the wear out for the smaller size (6-18 month) which is why I also went for a heavier tog - she can sleep in it through the winter. I was really excited for it to arrive and when I shared a picture of it over social media, I got many comments from fellow mums telling me how much they love their Grobags. This made me eager to get it on E and see what it was like for myself. The design on this bag is absolutely beautiful. The baby pink with floral print match perfect and the "Without rain there would be no rainbow" appliqué motif is exquisite. 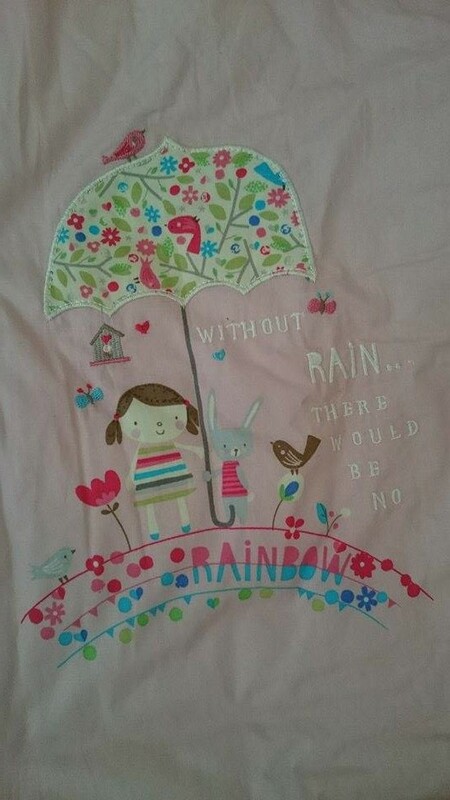 It's perfect for a little girl. Fit-wise, it is a little big but that was to be expected as I went for a bigger size. Putting E in it is easy. All you need to do is unzip and undo the poppers, lie her down in it and fold the front over the top of her and fasten. Simple! 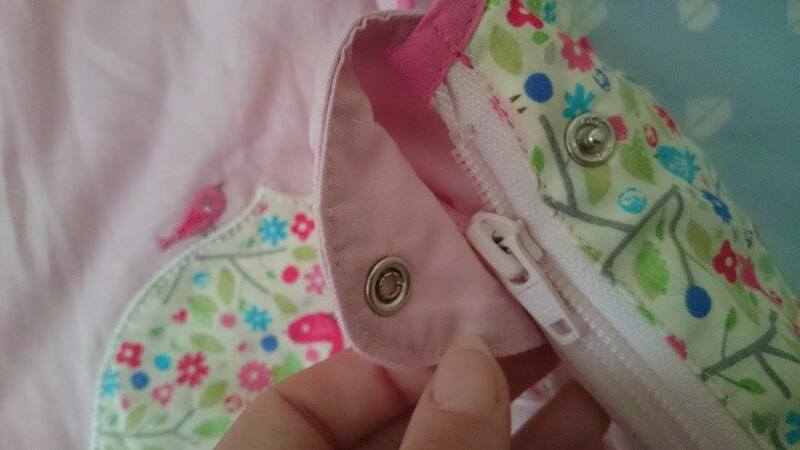 The zip starts in the middle of the bag under her feet and it pulls right up under her armpit. I love that they've thought to put a little zip cover and popper so nothing can get caught on it. When we first tried it, she was a little baffled and kept trying to kick her legs but she soon got used to it. E has always been one for kicking off her blankets and I'd find that she would be quite cold in the morning but I don't have to worry about that now. All I have to do is focus on making sure she's dressed appropriately underneath and I know she'll be safe and sleep soundly. After using for a few days, I found that my mind was put at ease. I'd usually be worrying about where her blanket is positioned in case she's managed to wriggle her way under it or if she's kicked it off in true E fashion but the Grobag has worked wonders! She's sleeping soundly and happily throughout the night and so is mummy! This particular Grobag retails at £34.99 but prices do vary depending on style, size and tog. You can find out more about the entire range at The Gro Company website and you can also keep up to date on Facebook and Twitter. 1 comment on "E's first Grobag - Review"